Customizable WordPress theme comes with inbuilt SKT page builder. So, you can design inner pages of your website with much ease and effectiveness. Customizable theme as its name suggests can be used to design any kind of website that is of multiple industries. Your website can be viewed without any hassle in any of the devices like mobile, laptop, desktop or any other. Tested crosswise various browsers like Chrome, Opera, Firefox, Safari, and others. So, anyone can find your website no matter search is made from any of the browsers. You are made available with various shortcodes in order to add additional functionality to your website. Even you can add more shortcodes, it is possible with the use of shortcode plugin which works well with the theme. After the purchase of a customizable theme installation will be provided free of cost to our customers. Working of customizable WordPress theme is so simple and easy so anyone can get conversant with it. Congenial with WooCommerce theme so you can design an elegant online store of any kind and can carry all the online transactions with efficacy. 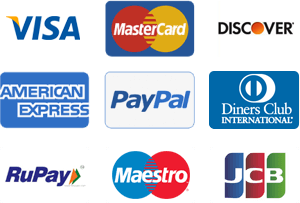 You can accept payment from your customers and clients directly from your website. Simple to use and handle even by the neophyte users who do not have any knowledge of handling websites and templates. Gutenberg, Elementor, Divi, Visual composer, Beaver builder, Live composer, and other page builder plugins work at its best with the theme. Support will be made available to our customers one year from the date of purchasing the theme. In case you are facing any skepticism while designing your website you can contact us. Comes along with full documentation which comprised of working and setup of each section. Anyone without writing a single line of code can design a magnificent website on their own. You can tweak any element like colors, layouts, fonts, and any other element and can design the website of your choice. In order to provide your website with more standardized and professional look standard pages like 404, search, archives and categories are also designed. Google analytics, maps, events, gallery, slideshow and others plugin can be added in order to raise any limitations if exist. SEO wise coding has been done in order to provide you with higher search rankings. Also affable with various SEO plugins like Yoast and all in one. All the WordPress Codex theme review standards have been followed while designing this alluring theme. Your website will be compatible with old and new browsers. As the theme is designed with a flat and material design approach. Designed to be affable with social media as social media sharing is vital for augmenting traffic of website. Inner header can be designed beautifully in a combination with banner, slider, map or video. You can design header section by selecting from one of the four layout variations which are made available. By making use of a color picker option you can tweak any element and can give your website individual look and feel. Inner pages can be designed elegantly with various layout variations. Four layout variations are provided to design inner pages. Designed to be compatible with social media icons with 2000+ icons pack incarnated in the theme. You can use it anywhere on the entire website and all are font-based. You can insulate your elastic website from malignant attacks and hackers. It is possible with the use of security plugins which work at its optimum with the theme. Customizable WordPress theme work well with various RTL languages like Arabic, Hebrew and others. Coded with the latest programming languages, HTML and CSS3. Hence, you will have a highly professional and standardized website. Footer section can be designed aesthetically by opting from one of the five layout variations which are provided. Sidebar layouts are provided for blog posts as well as single posts. Slider by default has been made available with 3 slides. But you can use up to 10 slides depends on your requirements. Customizable WordPress theme is designed to be multilingual friendly with plugins like WPML, qTranslateX and Polylang plugins. Encompassing of Google fonts has been done which are 800+ and have Cyrillic and Latin subsets for special characters. And, also for all types of language handling. You can incarnate widgets in various sections of your website like in header, footer or sidebar. As customizable theme is designed widget friendly. Fast loading speed can be attained with the help of cache plugins which work at its best with the theme. You can design your flexible website either with a full layout or with a boxed layout. Customizer based so you can catch up a live preview of your website after making changes to it. You can view your flexible website across various devices irrespective of the type of Operating system used. As customizable WordPress theme is designed to work smoothly on any of the OS like MacOS, iOS, Windows, Android and others. Tested and found to be compatible with form and membership plugin. Your flexible website can be rendered by the high-resolution website without any additional setup. You can make your website more social by installing social plugins like Facebook and Disqus. This way nested comments can also be added. Slider plugins like meta, master, cyclone, crelly and other work at its best with the customizable theme. Hence, you can use any of these sliders while designing your website. You can design social media widgets on sidebar and footer, also social sharing plugins on various pages and posts. As the theme is congenial with social sharing plugins. You will have a homepage with a more professional and alluring look. It is due to CSS3 animated effects on the homepage. Sidebar layout is provided for various pages and posts and it is widget friendly. Although sidebar of the theme is optional while designing your website. Homepage sections are via pages and can be replaced with any type of content that gets posted into those pages. Blog section has been designed in order to keep visitors hooked up with your website for a long. Four layout variations are provided to design blog section. In this digital realm where everyone prefers an online search for even a minuscule thing. Designing your online presence in the world wide web is of sheer importance to maintain the existence and to maintain competition in this creaky competitive world. Websites are one of the most convenient medium by which you can reach to a larger group of clients and customers. Your palatial and professional website will do two task at a time. One, it will provide convenience to your customers and second, inflates your sales and generate more revenue for you. If you are confused that which platform is optimum to design your balletic website. Then you need not confused as you are already aware of WordPress. It is one of the best platforms for designing elegant websites. And, by choosing WordPress, you not only made available with an elegant website, but you are also provided with a plethora of features and functionalities. So, no matter you own any company or business it is recommended to design website. We are here to help you out with this enticing elastic PRO theme. It is just impeccable to design websites for multiple industries like corporate, education, local shops, medical, political, restaurant and likewise. This smart and exceptional WordPress powered theme will require no coding knowledge to turn into a well professional and alluring website. As customizable WordPress theme comes along with full documentation by referring to which anyone can design an alluring website. Coded and stylized with HTML and CSS3, so you will have a website with an enticing appearance. You need not check your website for years as coding has been done with the latest programming languages. But if you need to customize your website based on changing market conditions so you can also do it with efficacy. As it is designed with a customizable interface so you can tweak any element as per your choice. You can allow your visitors to concentrate on the most vital content of your website. This is possible by using slider plugins and various page layout options which are made available with the theme. A plethora of simply customizable packages of icons, Google fonts, inbuilt shortcodes for various sections. All these aspects make this theme highly competitive and resilient. You can turn this customizable WordPress theme into a complete revenue generation package with ease and efficacy. Our designers have taken care of every minuscule detail in order to provide you with a persuasive and splendid website which fulfills all your expectations at the highest possible level. One of the most desirable facets of contemporary websites is responsiveness. So, we have designed customizable WordPress theme to be entirely responsive. Hence, you can view your website in any device with ease. Design your website with this alluring theme and generate more revenue with your enthralling website.